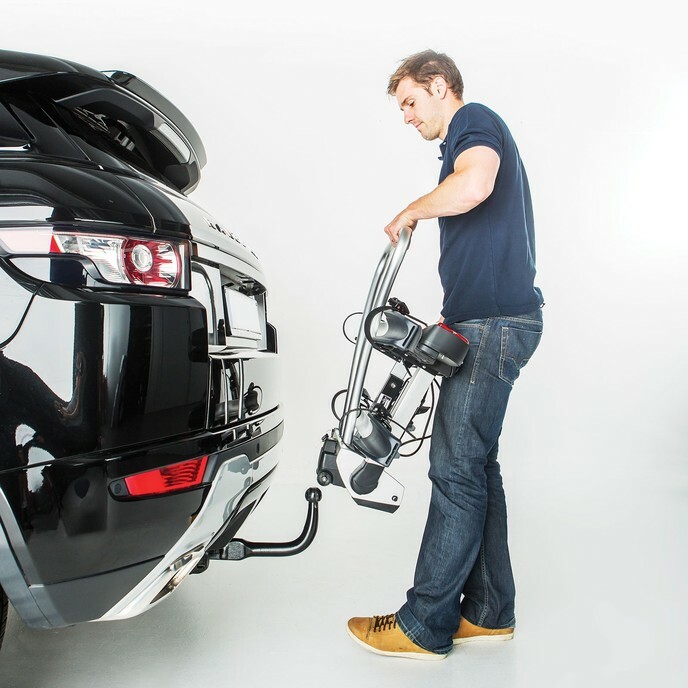 Whisbar or Yakima as it is now known since being taken over recently is the 'just click' bike carrier that is simple to use and is the winner of a 2014 Red Dot Award. 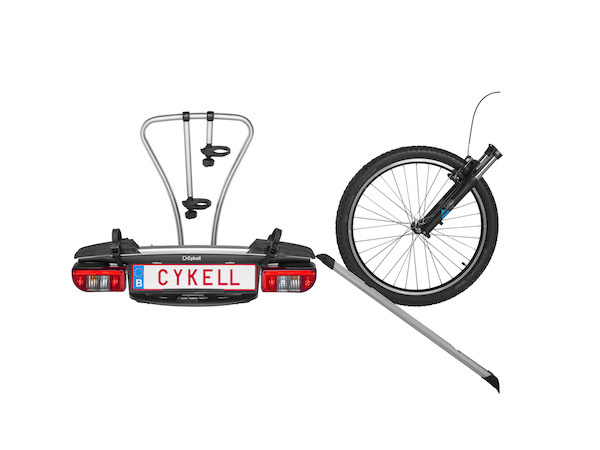 The 60kg load capacity of the Yakima carrier makes it ideal for electric or non-electric bikes. It has an optional Loading Ramp - Great for Electric Bikes. The carrier is available as either a two bike rack, with the option to fit a third bike extension or there is a permanent three bike version. The bike carrier is compact when folded. The just click system allows the user to extend the lights and wheel trays easily. The lights come with a 13 pin socket and a 7 pin adaptor as standard. 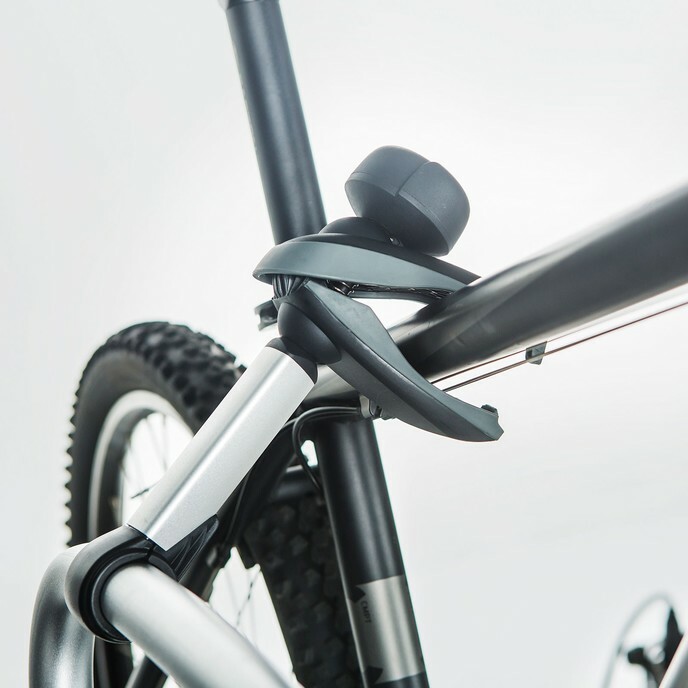 The bicycle rack locks onto the tow ball for security and the same key is used to lock each individual bike to the rack using the lockable arms. 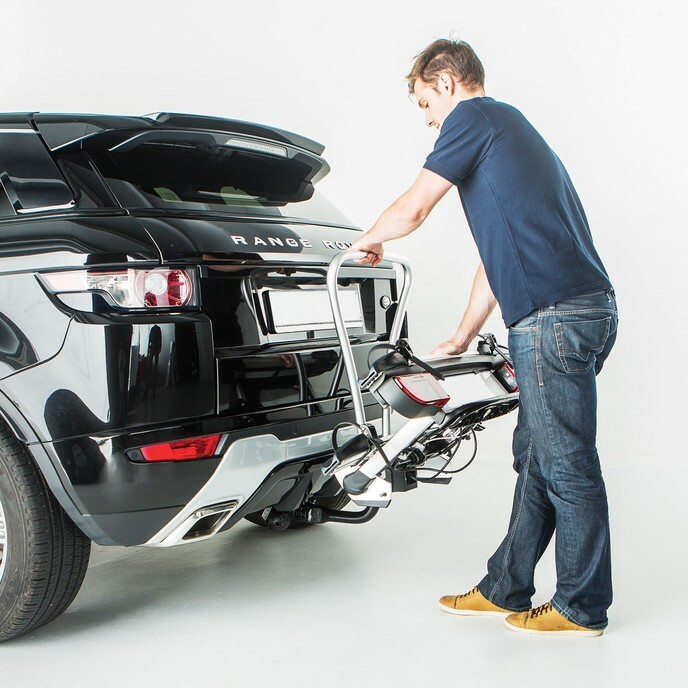 The rack can easily be tilted to allow access to hatchbacks even when bikes are loaded. 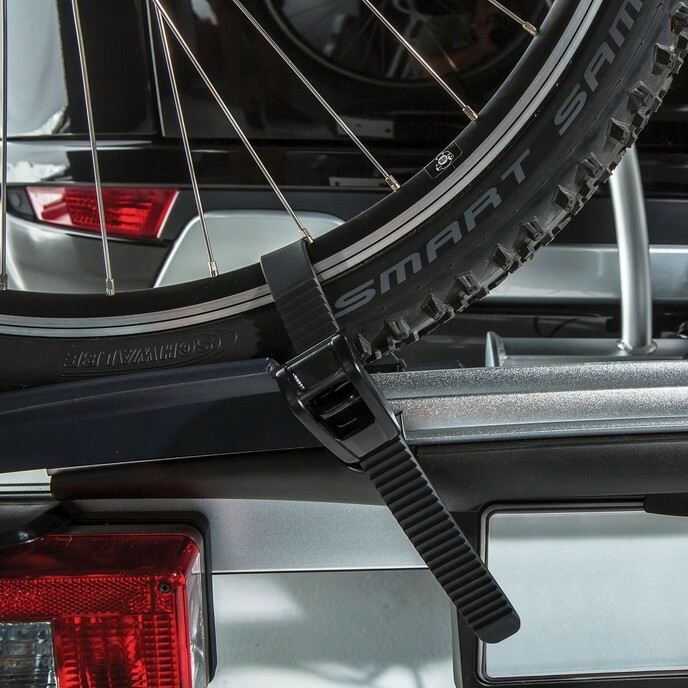 The bike carrier is ultra simple to use. All you need is either an Alko tow ball or a swan neck type. 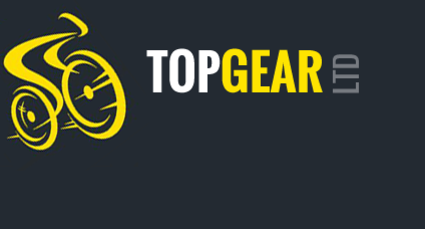 If you have a standard towball fitted to your car, it can easily be replaced by a bolt on Alko ball which should cost around £20. You then just simply place the carrier onto the tow ball, unfold and just click. The green indicator shows that the rack is fixed securely. The carrier comes complete, fully built and ready to use straight out of the box. The loading ramp clips easily into the end of the wheel holder and allows the bike to be pushed up into position rather than lifted. 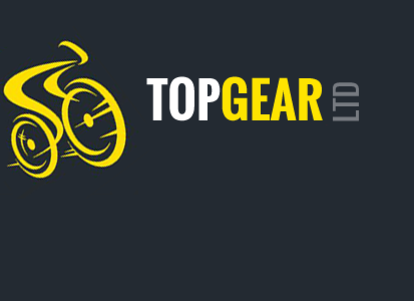 Want to take another lightweight bike along? No problem! The Extra Bike Extension clips easily onto the outer bike rail and the supplied lockable arm securely fastens it to the adjacent bike. Ideal for a child’s or road bike. Easy to see indicators ensure you know when the system is safe to use. 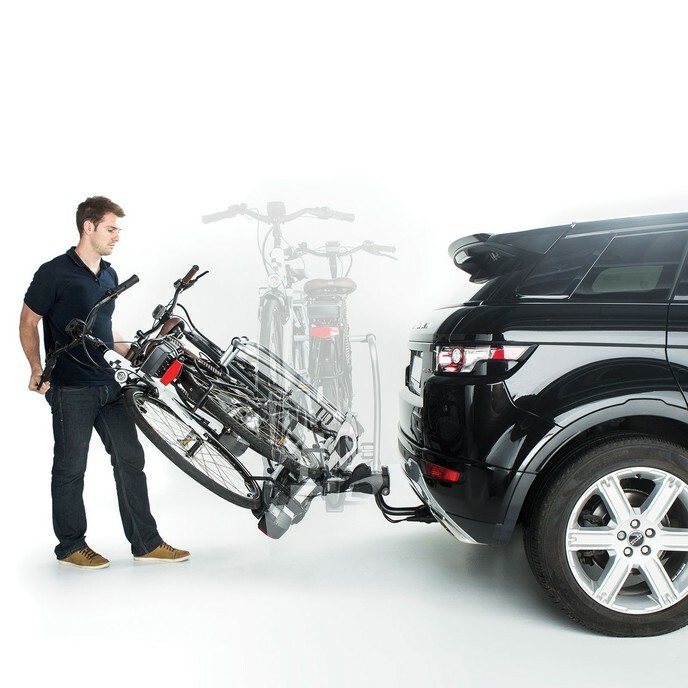 Yakima 2 Bike Carrier with 60kg loading is ideal for Electric Bikes"
*Older style tow balls not to the modern standard can be simply and cheaply replaced.